There are three commonly used APA examples for an outline. They are all based upon setting sections in a numerical sequence. To comprehend it most effectively, one needs to reference the templates of each. Need help with an APA research paper? This format is almost similar to the previous. The distinction is that this way of composing of the plan requires using complete sentences for each subheading. Numeric approaches are the same. I. Directing scholastic plays is a very important educational moment. A. Taking part in staging, scholars are developed in a versatile way with a focus on creativity. 1. While getting prepared for the play they are involved in oeuvre and communion. This format implies using APA citation rules if needed. Other writing plan templates are deprived of the possibility of stealing or unintentional using of other author`s thoughts. 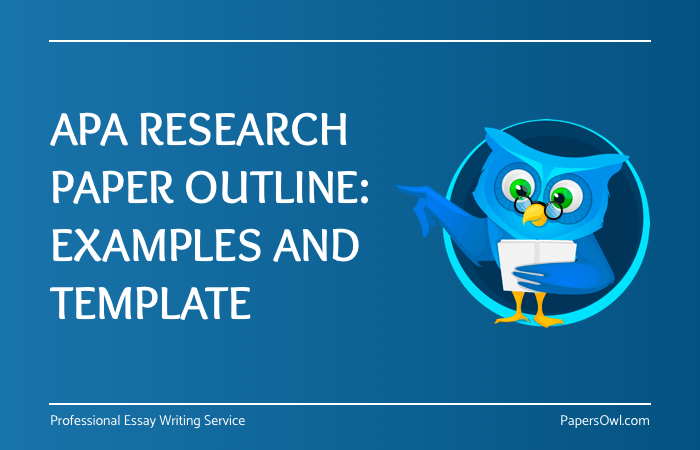 If you are not quite sure what format and structure to follow when creating a research paper outline, you should check out the example provided below. I) Introduction – the first section of your paper that aims to grab the reader’s attention and clarify the topic and main objectives of your work. A) Hook – start with a fact, question, quote or something else to capture attention. B) Make a statement of the paper’s main problem. C) Background – your goal is to tell the readers about the nature and background of a specific problem and provide enough information to better understand the idea of your work. D) Thesis – make a short statement on your work’s focus. A) Main idea (topic sentence). D) Transition to the next part. III) Summary – briefly summarize all the points you’ve made. IV) Conclusion – The final part of your work that restates the thesis statement, makes a reflection on the work you have done and can suggest possible applications of the obtained results. The examples of the outline given above are long established ways of composing a plan but still comply to the APA writing standard. All the peculiarities and demands are represented. Although some students skip writing an outline for their research papers and underestimate its meaning, it plays a big role in your success! With a good outline, you enhance your chances of writing a high-quality paper. An outline completes several important functions: it helps you follow the right structure; it contains all the ideas, evidence, and points you should include, so you won’t leave something out, and it helps you focus on the task and contributes to a faster writing process. Therefore, making an outline is important! Never skip this step and you will easily handle all your assignments!